Litigation can always take twists and turns, but when EFF filed a lawsuit against Universal Music Group in 2007 on behalf of Stephanie Lenz, few would have anticipated it would be ten years until the case was finally resolved. But today, at last, it is. Along the way, Lenz v. Universal helped strengthen fair use law and brought nationwide attention to the issues of copyright and fair use in new digital movie-making and sharing technologies. It all started when Lenz posted a YouTube video of her then-toddler-aged son dancing while Prince’s song “Let's Go Crazy” played in the background, and Universal used copyright claims to get the link disabled. We brought the case hoping to get some clarity from the courts on a simple but important issue: can a rightsholder use the Digital Millennium Copyright Act to take down an obvious fair use, without consequence? Congress designed the DMCA to give rightsholders, service providers, and users relatively precise rules of the road for policing online copyright infringement. The center of the scheme is the notice and takedown process. In exchange for substantial protection from liability for the actions of their users, service providers must promptly take offline content on their platforms that has been identified as infringing, as well as several other prescribed steps. Copyright owners, for their part, are given an expedited, extra-judicial procedure for obtaining redress against alleged infringement, paired with explicit statutory guidance regarding the process for doing so, and provisions designed to deter and ameliorate abuse of that process. Without Section 512, the risk of crippling liability for the acts of users would have prevented the emergence of most of the social media outlets we use today. Instead, the Internet has become the most revolutionary platform for the creation and dissemination of speech that the world has ever known. But Congress also knew that Section 512’s powerful incentives could result also in lawful material being censored from the Internet, without prior judicial scrutiny—much less advance notice to the person who posted the material—or an opportunity to contest the removal. To inhibit abuse, Congress made sure that the DMCA included a series of checks and balances, including Section 512(f), which gives users the ability to hold rightsholders accountable if they send a DMCA notice in bad faith. In this case, Universal Music Group claimed to have a good faith belief that Ms. Lenz’s video of her child dancing to a short segment of barely-audible music infringed copyright. Yet the undisputed facts showed Universal never considered whether Ms. Lenz’s use was lawful under the fair use doctrine. If it had done so, it could not reasonably have concluded her use was infringing. On behalf of Stephanie Lenz, EFF argued that this was a misrepresentation in violation of Section 512(f). In response, Universal argued that rightsholders have no obligation to consider fair use at all. The U.S. Court of Appeals for the Ninth Circuit rejected that argument, correctly holding that the DMCA requires a rightsholder to consider whether the uses she targets in a DMCA notice are actually lawful under the fair use doctrine. However, the court also held that a rightsholder’s determination on that question passes muster as long as she subjectively believes it to be true. This leads to a virtually incoherent result: a rightsholder must consider fair use, but has no incentive to actually learn what such a consideration should entail. After all, if she doesn’t know what the fair use factors are, she can’t be held liable for not applying them thoughtfully. We were disappointed in that part of the ruling, but it came with a big silver lining: the court also held that fair use is not simply a narrow defense to copyright infringement but an affirmative public right. For decades, rightsholders and scholars had debated the issue, with many preferring to construe fair use as narrowly as possible. Thanks to the Lenz decision, courts will be more likely to think of fair use, correctly, as a crucial vehicle for achieving the real purpose of copyright law: to promote the public interest in creativity and innovation. And rightsholders are on notice: they must at least consider fair use before sending a takedown notice. Lenz and Universal filed petitions requesting that the Supreme Court review the Ninth Circuit’s ruling. The Supreme Court denied both petitions. This meant that the case returned to the district court for trial on the question of whether Universal’s takedown was a misrepresentation under the Ninth Circuit’s subjective standard. Rather than go to trial, the parties have agreed to a settlement. Lenz v. Universal helped make some great law on fair use and also played a role in leading to better takedown processes at Universal. EFF congratulates Stephanie Lenz for fighting the good fight, and we thank our co-counsel at Keker, Van Nest & Peters LLP and Kwun Bhansali Lazarus LLP for being our partners through this long journey. 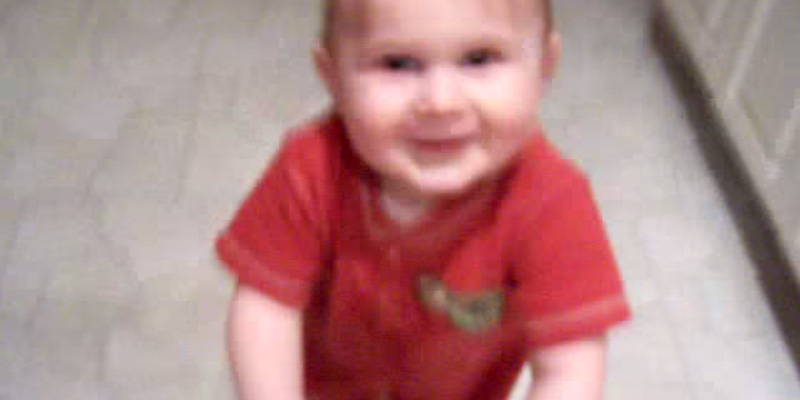 And in case you are wondering: that toddler dancing in the original video is now in middle school.